Since the beginning, Coast Label Company has established itself as a custom, specialty solutions provider. With the same, steady ownership for over 25 years, the vision for the company has remained consistent: to deliver solutions that meet customers’ unique label needs, all the while maintaining a consultative and personal approach to business relationships. On the business side, we are proud to be a four-time winner of the Eugene Singer award for Best Managed Company, awarded by the label industry trade association TLMI. While in the critical areas of customer service and print quality, our Coast Label team has received numerous regional, national and international awards over the years. We look forward to meeting with you and demonstrating our commitment to exceptional quality and service. If the product you receive doesn’t meet our agreed upon specifications, we’ll replace it for you at no charge. Each packaging unit and shipping carton is labeled with unique identifying information–great for simplifying inventory reordering! We control the whole process, including pre-media and platemaking, in our climate-controlled and fastidiously clean manufacturing plant. Located in Orange County since 1970–with roots tracing back to 1913 in downtown Los Angeles–we’ve been making self-adhesive labels for over 50 years ago. We keep detailed records of all your orders in our enterprise software system. This makes reorders fast, easy, and helps avoid mix-ups if you buy many similar labels. We are one of the few label manufacturers in the U.S. to have a L.I.F.E.® Certified Facility, demonstrating our commitment to responsible environmental practices. You have better things to do than spending time worrying about your product. With our ISO 9001:2015 quality system, relax knowing we will perform as specified. We’re proud of our products. That’s why we bag or wrap each item, pack them snugly in new, high-strength cartons, and then cushion the contents with air-filled pillows. We use only industrial-grade materials from the best suppliers in the world — Avery Dennison (Fasson), 3M, FLEXcon, UPM Raflatac, and others. 1913: The Bauer-Peterman Company is started by Eugene Bauer and Ralph Peterman. The company is located at 4th & Wall Street in Los Angeles. 1929: Acquire Morlan Printing, a manufacturer of drug labels. 1929: Elmer Fairchild, Bauer’s brother-in-law, purchases a 1/3 interest in the company. 1929: Purchase the company’s first Kiess & Gerlach seal press (still standing in the Coast Label lobby), becoming the first company in Southern California to make dry-gum seals, the predecessor to pressure-sensitive labels. To celebrate this new capability, the company changes its name to Western Label Company. 1933: Melvin Fickas, Fairchild’s son-in-law, purchases an ownership stake in Western Label. 1955: Melvin Fickas purchases land and designs the company’s new building at 5305 Alhambra Avenue in Los Angeles. Western Label will occupy this building for 47 years. 1970: Jack’s Labels founded by Jack Brookshire while still in high school. The company is operated out of a back corner of Crown Label Company (co-owned at the time by Jack’s father). 1972: Jack’s Labels moves into its own space in Costa Mesa, CA. 1981: Jack’s brother, Ray Brookshire, joins him as a partner. The company is renamed Coast Label Company to reflect the partnership. 1982: Western Label begins producing UL Labels. 1990: Robert Blank buys Coast Label. He would own the company for a little over a year. 1991: Craig and Janice Moreland buy Coast Label. 1992: Coast Label acquires Image Label & Screenprinting. 2000: Craig & Janice purchase the company’s current 18,000 square foot building at 17406 Mt. Cliffwood Circle in Fountain Valley, CA. 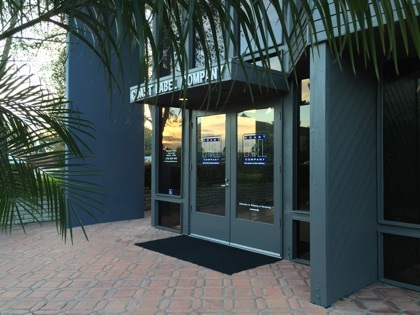 After 3 months of extensive renovation and remodeling, the company moves into the facility it still occupies today. 2002: Don Fickas sells Western Label to Craig & Janice Moreland. 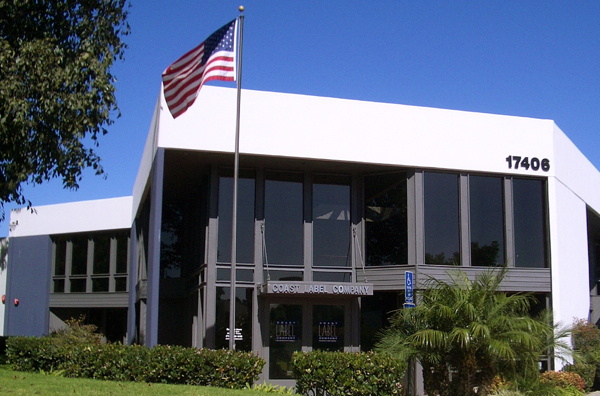 The operations of Western Label are merged into Coast Label’s Fountain Valley facility. 2007: Coast Label wins it’s first of 4 TLMI Eugene Singer Awards for Best Managed Company. 2011: Coast Label becomes ISO 9001:2008 certified.